Eclipse Casino is one of the new and popular online casinos established in 2017, which is considered the young casino in the digital industry. Eclipse Casino management team has a wide experience in the gambling industry and it is licensed by Curacao, operated and owned by Blue Media N.V Casinos. This online gambling site integrates powerful software, a popular operator, and some of the famous games that found in the American gambling industry today. It is an absolute winning package that will allure many players, particularly those who are big lovers of slots. The best thing about this casino is that it won’t make the players bored playing the same type of games as it offers a large range of slots that brings a new experience to each and every player. Globally, many players can enjoy playing their favorite casino games on Eclipse Casino as it has a very small list of restricted countries. One thing that Eclipse casino really attracts is that it offers outstanding user-interface. It allows you to find your favorite game in just a few seconds and allows you to search your favorite game quickly using the handy search bar. The Eclipse Casino offers the best welcome bonuses to all the new players. The casino offers 300 percent welcome bonus match with the substantial amount of maximum amount of 3,000 dollars that help the player to jumpstart things. Also, 150 percent sign up bonus with a max 1,500 dollars bonus and a betting requirement of 180x on other Video Poker and Blackjack. Eclipse Casino is supported by Rival Gaming Software. You can expect fresh games available in this casino. It is one of the popular companies in the industry and plenty of online casinos run on their platform. It is one of the well-known software developers in the American market. 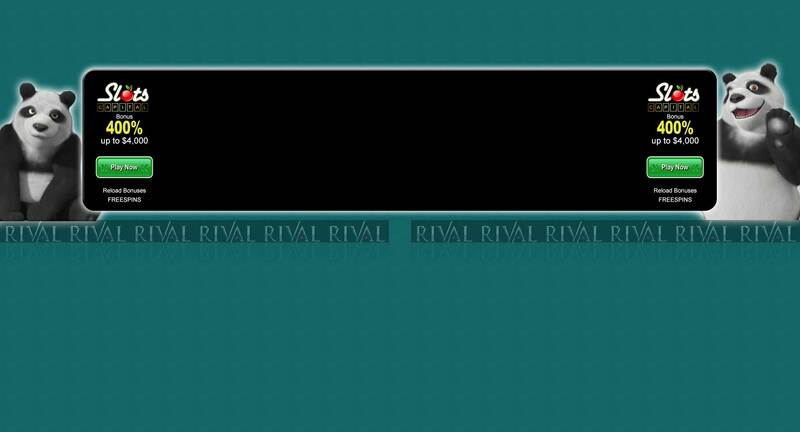 Rival Gaming offers more than two hundred different games in its portfolio, and it offers players a lot of choice in every area of a website. Also, the company is popular for their pioneering approach to slot machines that have been offering different games that are not found in other online casinos. Eclipse casino offers around 180 different casino games provided by popular software companies. However, if you compare their collection of games, then it comparatively provides less gaming selection but it offers a range of different slot games. That is why you may not find more video poker and table games compared to other online casino contenders. In total the online casino offers 140 slots, 7 video poker games, and 12 table games. Also, you can find different versions of several casual casino games like keno and bingo. So at Eclipse Casino, you can experience different slot games as they take up the majority of their in general game selections. At Eclipse casino, the video slot section offers 3-reel slot games to the most advanced games that are available on the gambling market. In general, the casino offers a wide range of online slots provided by the Rival Software provider. The famous titles include Panda Party slot, Cirque du slots, Wild Safari slot, and Bowled over slot. The progressive slots contain 2 Millions Reels BC slot, Major Moolah Slot, Money Magic slot, and Strike Gold slot. The casino also offers a large range of table games, including different types of blackjack, roulette, baccarat, and also offers different poker games. The casino lovers can sect between European Roulette and American Roulette, Blackjack Single, Baccarat, and Blackjack multi-hand. The video poker selection includes Three Card Poker, Five Card Poker, Joker Poker, and Ride’em Poker. Also, players may find different varieties of scratch card games, bingo, and also entertaining options like Sodoku Box Game and Keno. 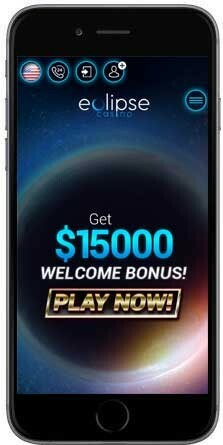 The Eclipse Casino is available to play on every mobile device, including iOS and Android devices. This can help the casino lovers get access to a different selection of mobile slots and allow them to play on the go. If you switch your mobile to horizontal it still appears very well and fits automatically, so we rated it very well in our Eclipse casino test. At Eclipse Casino, the banking system is not that great as the casino has very low withdrawal limit. It allows only 2,000 dollars to withdraw per week, and also payout takes around seven to ten business days to complete the process. As per the American betting market services, the restrictions on the withdrawal limits are understandable. The Eclipse allows you to process the deposits and withdrawals using Visa, MasterCard, Skrill, Paysafecard, Neteller, and wire transfer. The Eclipse online casino charges 50 dollars withdrawal fees for Debit and Credit cards and wire transfer. Also, the fees they charge for the withdrawals are more than the minimum deposit that a player has to put in his/her account before playing the casino games. Also, if the member in Eclipse does not log in for more than 90days, then they will be fined for having their account on their website. The minimum deposit is 25 dollars and the casino allows you to withdraw minimum 150 dollars, and from that, you will get only 100 dollars. That is why it is said that the banking system is very poor at Eclipse and it is considered as a failing grade. High rollers and the players who win a lot can ask for cash outs of 2,000 dollars every week, and from that, the casino will cut 50 dollars every time you withdraw. This is another way of making profits by the casino. On the Eclipse website, you can find a dedicate page contains the responsible gaming information and provides details about the identifying fighting issues and underage betting. Also, it has self-exclusion policies offered by the website if you require them. The Eclipse casino protects every player’s personal details by using 128-bit SSL encryption technology that takes and scuttles details as it is sent between the servers of the casino and your computer, and conversely. It is one of the major security features that you will find in all online casinos these days, so your info will be secured when you play in this casino. Eclipse casino offers the best customer services and the support team is available 24/7. The customer support team provides quick response and provides instants solutions if the player has any gaming issue. The players can reach the team through live chat, email, or through the phone. Eclipse Casino does not permit players to play on the online casino from particular countries, and the list includes India, Israel, Ukraine, Poland, Canada, and Belarus. 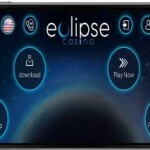 The best thing about this Eclipse Casino online gambling service offers a total mobile-friendly website. If you want to bet on some of your favorite casino games using your tablet or phone, then it is possible, but the only disadvantage is that the selection of games for mobile users is limited. Some of the best features of this casino are it offers outstanding customer service, a new selection of slots and other interesting games. But, it needs to improve a bit in its banking system and options and also the casino does not provide live dealer games, which is a big disadvantage. Overall, Eclipse Casino is one of the best online casinos that has been offering a variety of slot games and giving a unique experience to players.